Wanna be the next millionaire? Here's the chance,deal or be millionaire! Pick the right briefcase,beat the banker! Be millionaire! The game puts all the fun and excitement in the palm of your hand. 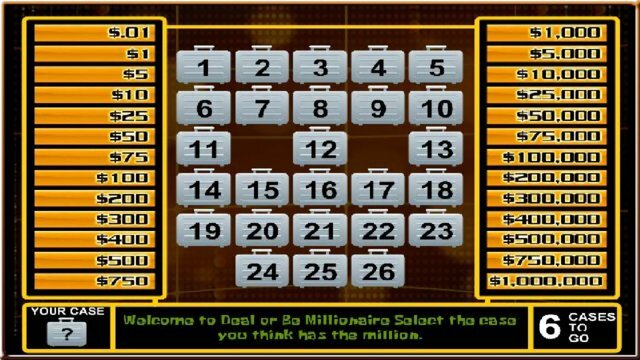 Try your luck and pick the right suitcase with the million dollar prize.